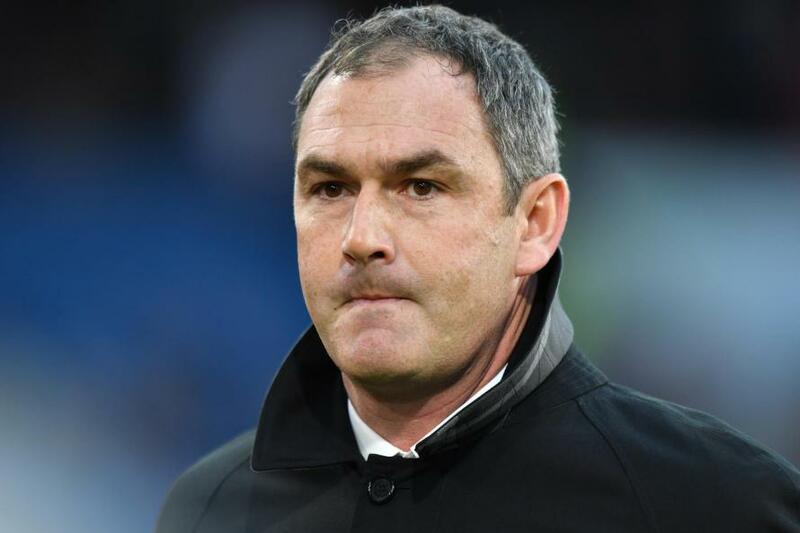 Where did it all go wrong for Paul Clement? For the third December in a row, Swansea City have sacked their manager. First, it was Garry Monk, while last season Bob Bradley felt the wrath of Huw Jenkins. This season, it was a slightly different scenario. Having been hired to replace hopeless American Bob Bradley last Christmas, Paul Clement kept Swansea up by the skin of their teeth, despite winning 29 points in the second half of the season. Though it was close in the end, it was a truly remarkable turnaround having been bottom of the table at Christmas. Clement took his summer holiday as a Swansea hero, but upon his return, he found a squad still in turmoil, who were only just good enough to remain in the Premier League the previous season. It would get worse for him, as his key player Gylfi Sigurdsson would tell him that he wanted to leave the Liberty Stadium. The transfer ‘saga’ with Everton which ensued went on for months, but Swansea were still unable to line up a suitable replacement. Instead, they plumped for Sam Clucas, who had been relegated with Hull the season before, to score and assist as Sigurdsson had done. The transfer policy could get no worse, one might have argued, but it did. An area of the squad where Swansea were well endowed was central midfield, with Roque Mesa’s arrival from Las Palmas, as well as Clucas entering the Liberty. It didn’t stop Clement using his contacts at Bayern Munich to bring in Renato Sanches, Euro 2016 Young Player of the Tournament. The suggested ‘coup’ of Sanches has been nothing short of a disaster. His manager has lost all trust in him, so much so that he’s been left out of the full match squad in recent weeks. Fernando Llorente departed to Tottenham Hotspur on Deadline Day, though this time Swansea had a replacement planned. Fan favourite Wilfried Bony, who had struggled for form since leaving the Liberty in early 2015 rejoined the club, for a £13 million transfer fee. It was a calculated risk from the Swans board – Bony had struggled with injuries since his departure, and had also been unable to replicate his form for Man City. In spite of this, the potential rewards were invaluable for such a low fee in an inflated transfer market, while the fans’ love of his dreadlocks and his song would (hopefully) raise the roof of the Liberty Stadium. But none of his signings worked the way he hoped they would – Clucas has been unable to find his position, Mesa has taken time to adapt to the Premier League (though Clement refused to play him for a while), Sanches is a mere shadow of the player he showed he was in Euro 2016, and Bony has been injured for the majority of the season so far. Thus, Clement has found himself with a squad severely lacking in quality and class. Though Clement’s organisational skills were welcome last season for a Swansea side devoid of confidence, they’ve made the fans rue the days of the ‘Swansea Way.’ Long gone are the times of Michu and Jonathan de Guzman scoring goals for fun. Now, the spectators at the Liberty get to see Tom Carroll passing backwards every week. Swansea had the lowest net spend in the Premier League over the summer, and this has been clear to see over the opening months of the 17/18 season. The truth is that part of the problems in the squad were created in the summer before Clement joined – the club had the opportunity to buy both Joe Allen and Wilfried Bony (a year before he lost all confidence in his game). Clement can hardly call himself unlucky. His side have won just three games out of 18 this season, a dismal return. But what he can say is that he had very little chance given the board’s inability to supply him with a capable squad. Who knows what he could’ve done with slightly more quality?